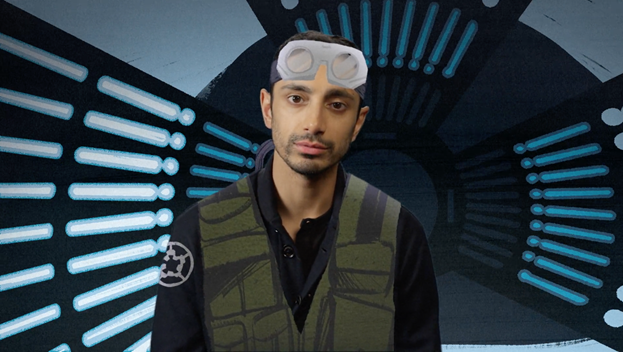 Disney has released a unique animated behind-the-scenes video with Riz Ahmed who plays Bodhi Rook, in which he shares his earliest Star Wars memory as a child with his older brother, the positive themes behind Rogue One: A Star Wars Story, and the grueling first days of filming (knee-high in sand) in a 150-pound backpack. In what ways are Golden Globe-nominated actor Riz Ahmed similar to his Rogue One: A Star Wars Story character Bodhi Rook? Riz comments that they are both excitable, not comfortable in a conflict situations and have no military training.